When you arrive in Arles, it quickly becomes clear that Van Gogh lived here for a while, although sadly the town folks didn’t show him much appreciation at the time. Things are quite different today, of course. All over town, street stalls try to capitalize on their famous past resident, selling tablecloths, napkins, aprons, etc. 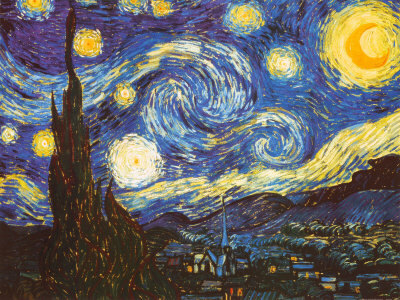 with sunflower prints, the subject of Van Gogh’s paintings and for which he is best known. From the one small commemorative bust of Van Gogh in the park, you wouldn’t think that this was an important town for the master painter, but Van Gogh did some 300 drawings and paintings during his short time in Arles. He actually stayed in the “Yellow House” in Place Lamartine, which is away from the central area, but the hospital where he spent some time has been converted into the Espace Van Gogh, a cultural centre dedicated to Van Gogh’s life and work. Arles was a very important city during Roman times and during its first Golden Age, it was dubbed “Little Rome in Gaul”. Apart from its famous links to the Vincent Van Gogh and other famous master painters, Arles is at least equally famous for its well-preserved Roman ruins, and its star attraction is the impressive Roman amphitheatre, one of the best preserved monuments of Roman Provence. The arena is often used today for concerts and the local version of bull-fighting (where the bull is not slaughtered). If you’re here in summer, you might even catch one of the bull contests in action. 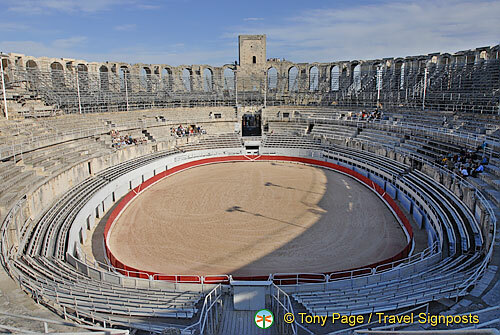 It’s well worth climbing to the top tier of the amphitheatre to get a panoramic view of Arles. The Roman Theatre was once a fortress but today the Arles Festival is staged here. Its two remaining Roman columns are called the “two widows”. Close to the Roman Theatre is the Eglise St-Trophime whose architecture is a combination of 12th century Romanesque exterior and superb Romanesque and Gothic cloisters. Have a look at the ornate main portal which is carved with saints and apostles. To the north of the town is the Palais Constantine, once a grand imperial palace. Only its vast Roman baths remain, but they are remarkably well preserved and give an idea of how luxurious it was for those who got to bathe there.